The grocery store can be an intimidating place for those on any diet. I am here to guide you through how to make informed, vegan, budget-friendly choices about what you’re bringing home. Now, you might be confused as to why I chose Whole Foods for this after just mentioning “budget-friendly,” but hear me out! When first going vegan, Whole Foods can be your best friend. There are plenty of vegan options and ways to save money while you’re still getting used to navigating around animal products, reading labels, etc. 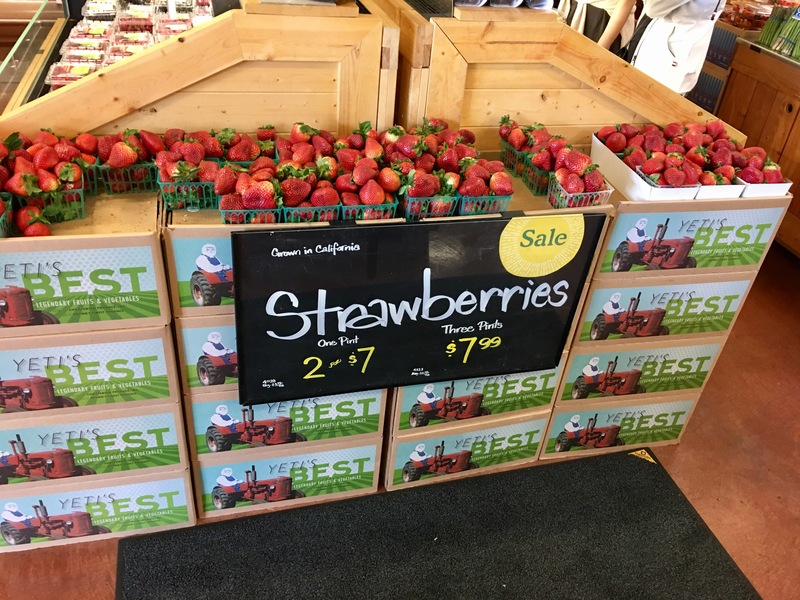 -Shop for produce at your local farmer’s market as often as you can. You will save loads of money and it will always be fresh, not to mention helping out your community. 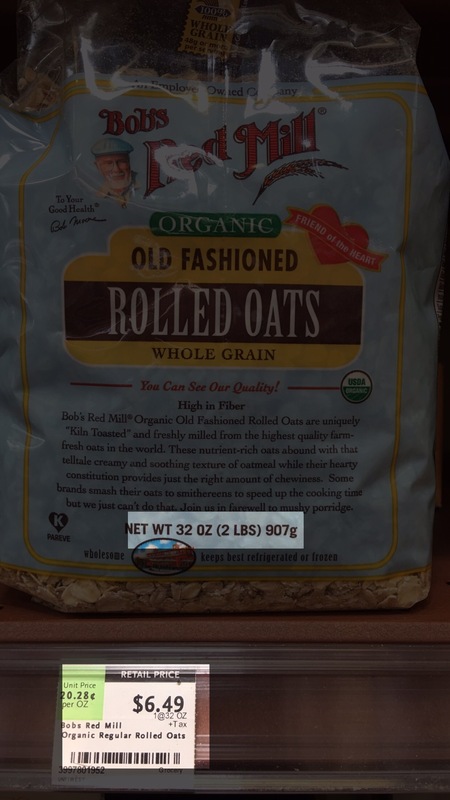 -If you can find the product in the bulk section, that is usually the cheapest option. -Always go for the store brand, paying for a brand name is unnecessary. One thing to look for is what is on sale, of course, BUT keep in mind, if it in on sale there is a chance that it is because it will go bad soon. Keep that in mind when you see “5 for $5″ or something similar. The last thing you want to do is buy too much of a product and it goes bad before you can use it. With that said, consider freezing fruit. 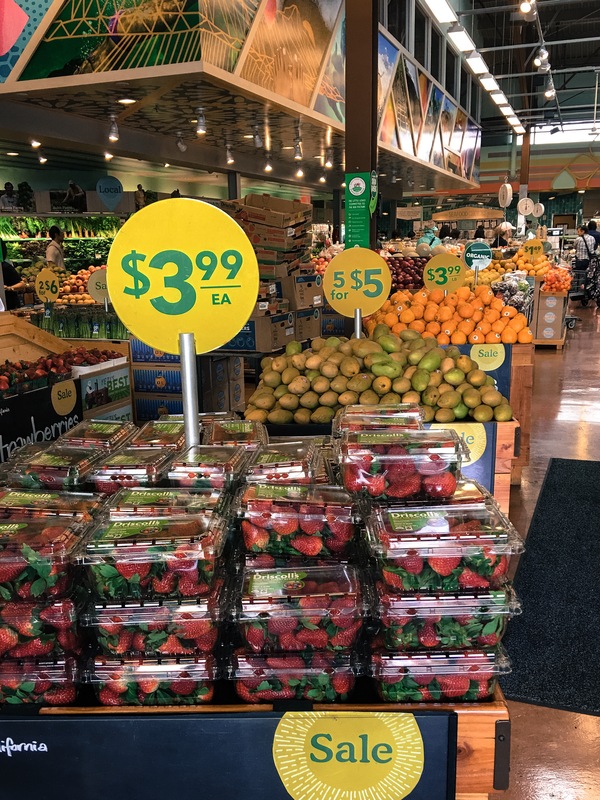 In this image you can see that 2 pints of strawberries cost $7.00 but the third pint is only $.99 more. There’s a good chance 3 pints of strawberries is too much for one to eat for the next 3-5 days before they spoil, but throw them in the freezer and they will be good for months! Speaking of frozen foods, pre-packaged frozen fruits and veggies are much cheaper and you won’t have to worry about them spoiling. 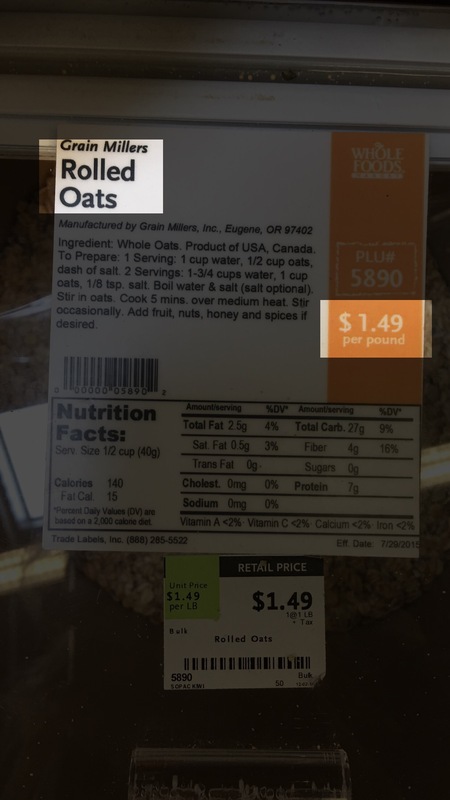 I’ll put your elementary math skills to the test here, when shopping, pay attention to if the pre-portioned bags are cheaper than single items. 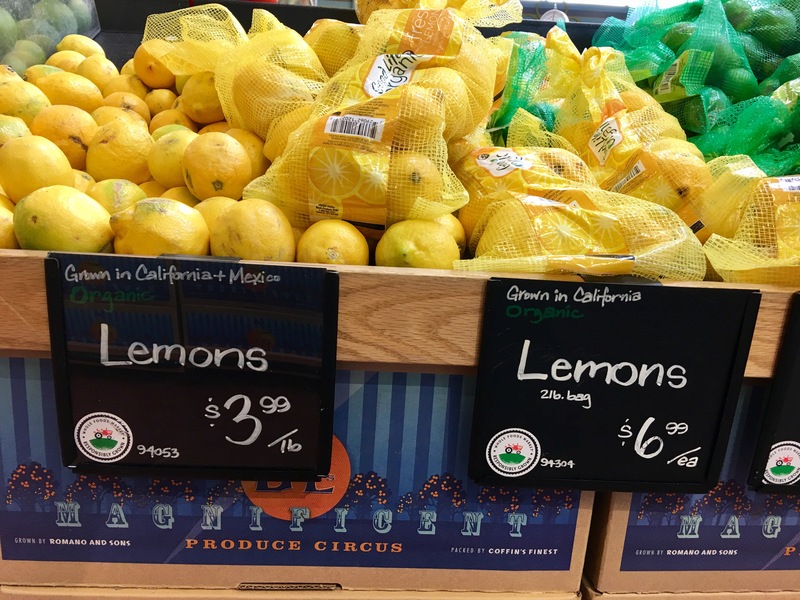 In this case, if you’re looking to buy one lemon, buying a two-pound bag would be ridiculous, but if you drink lemon water every morning, save a buck and get the bag. 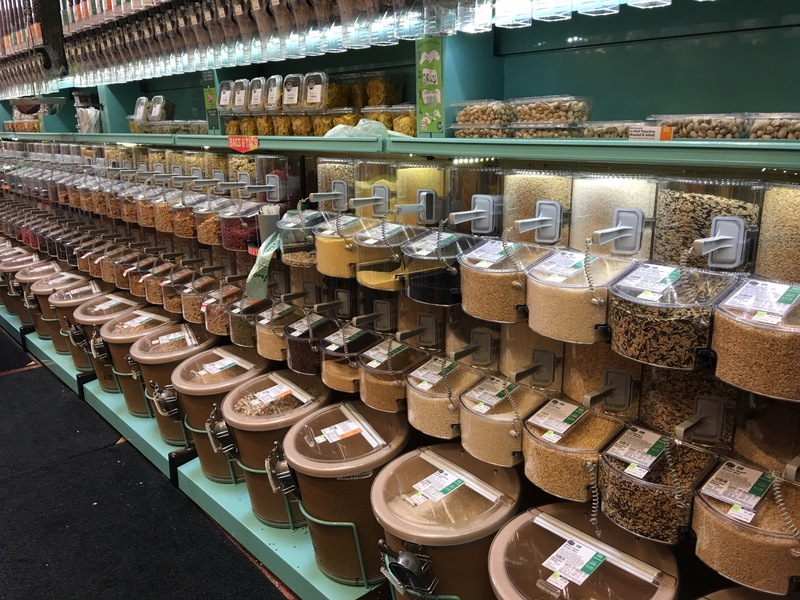 The bulk section is also great for other grains, such as rice or couscous, or for buying seeds and other super foods. 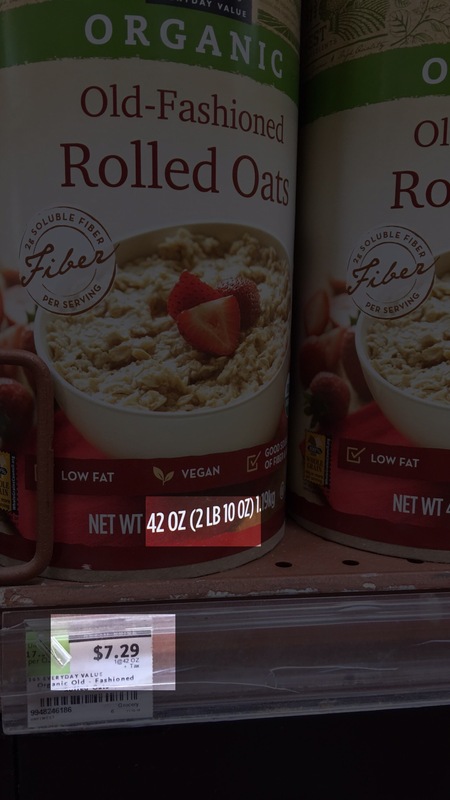 Reading labels is not something the general public is used to and you may even feel silly at first staring at a label in the middle of the aisle, but it doesn’t take long for it to become a habit. Here is the main reason why I direct you all to Whole Foods when you are first starting out. They make it fool-proof. On all Whole Foods 365® brand products if it is indeed vegan it will have the V+ symbol on the back, and usually on the front of the packaging as well. 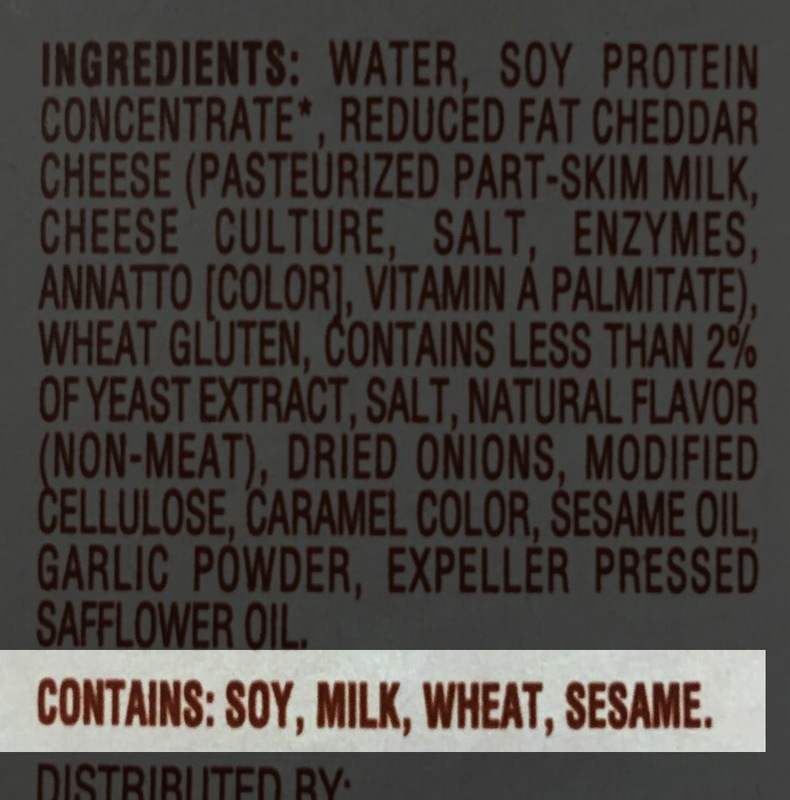 When shopping other brands, below the ingredients list it will tell you point-blank if there is milk, egg, wheat, soy products etc, mostly for allergen awareness, but it helps lazy vegans like me. 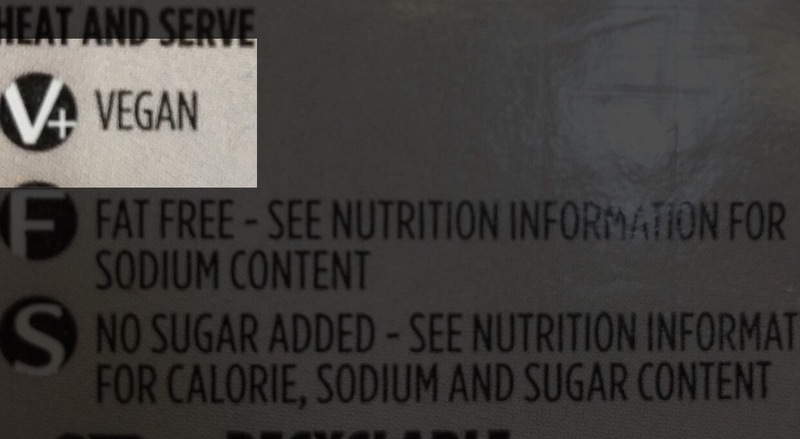 Also, sometimes at the beginning of the ingredient list it will be labeled “(VEGAN)” I applaud brands that do this. Thank you. Pro tip: Know your ingredients. 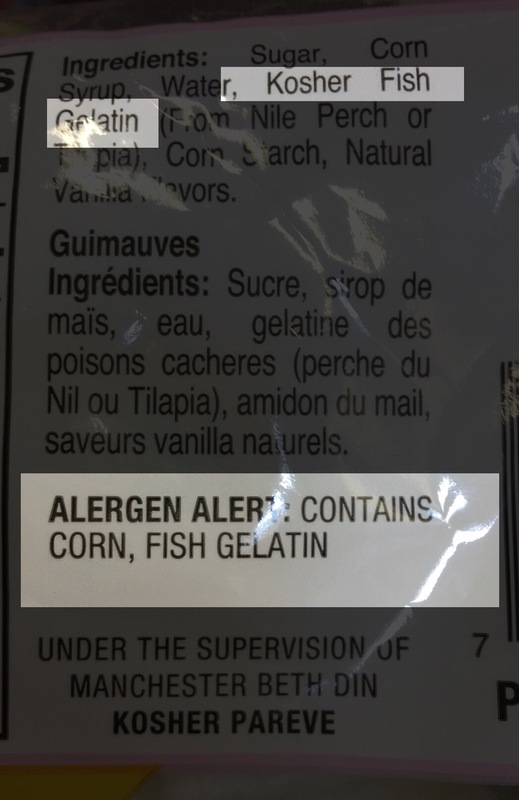 For example, gelatin is NOT vegan (and pretty much just down right disgusting.) 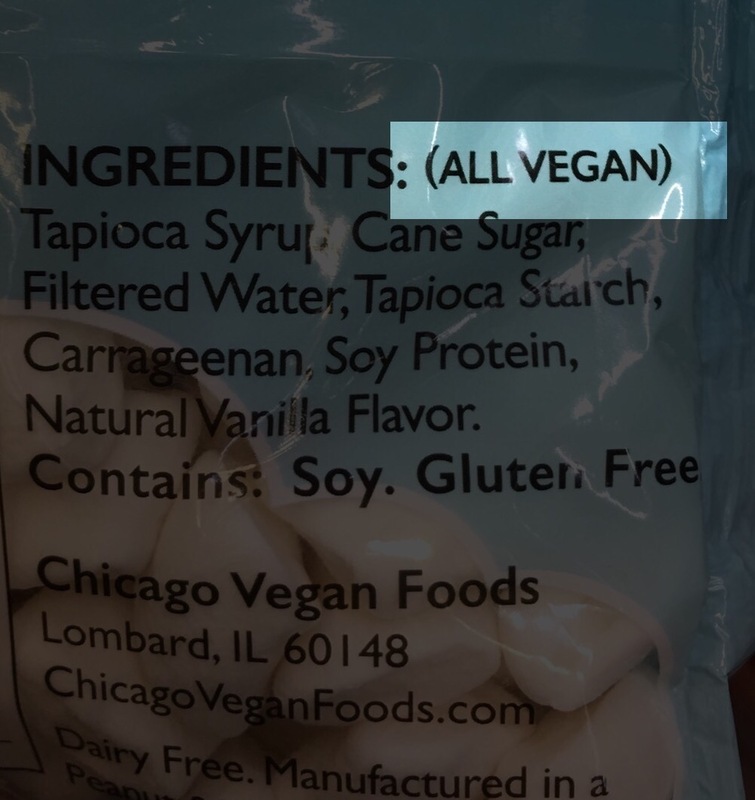 Here, on a bag of marshmallows they point it out for you, but most of the time, if you didn’t already know an ingredient wasn’t vegan it might find its way into your cart, it’s just better to be educated. All in all, try to focus on what you CAN eat versus what you cannot. You may feel intimated at first but there are vegan options for just about anything: mac and cheese, crab cakes, burgers, coffee creamer, butter, cheese and other dairy products, you name it. ← a message to brainwashed consumers.